New Mexico is a southwestern U.S. state with a rich history, beautiful landscapes, and diverse terrain. New Mexico is home to the Sangre de Cristo Mountains and the Chihuahuan Desert that bring marvelous landscapes for visitors to enjoy. New Mexico has many national parks, attractions, natural hiking paths and other fun activities that the whole family will love. 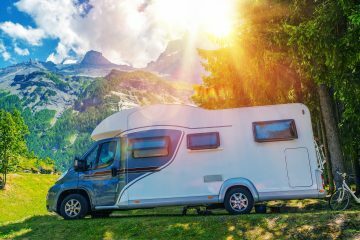 Planning a trip in a state you don’t know much about can be quite intimidating, but lucky for you we have put together a list 11 RV camping spots in New Mexico that will make your vacation unforgettable. 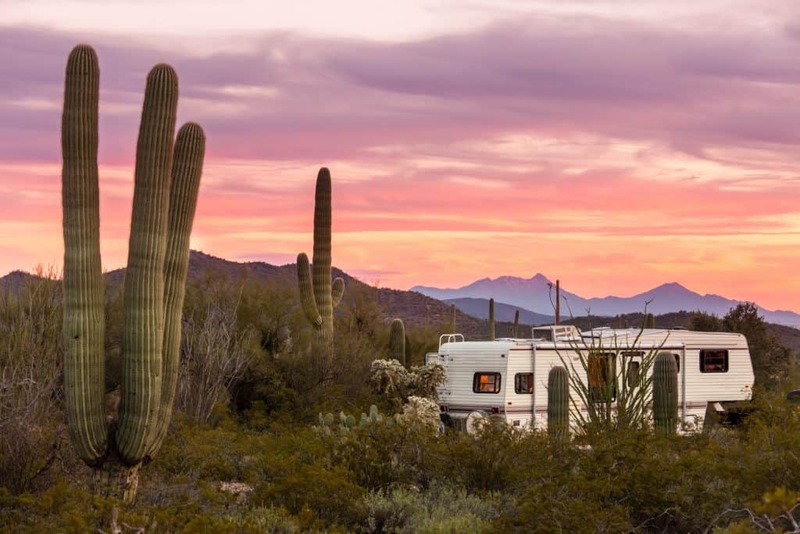 If you are spending most of your time in an RV and looking for a rustic location to park and enjoy, Camp Washington Ranch is the place for you. Even if you are not looking for a camping spot, Camp Washington Ranch is still worth a stop to enjoy the beauty that resides here. 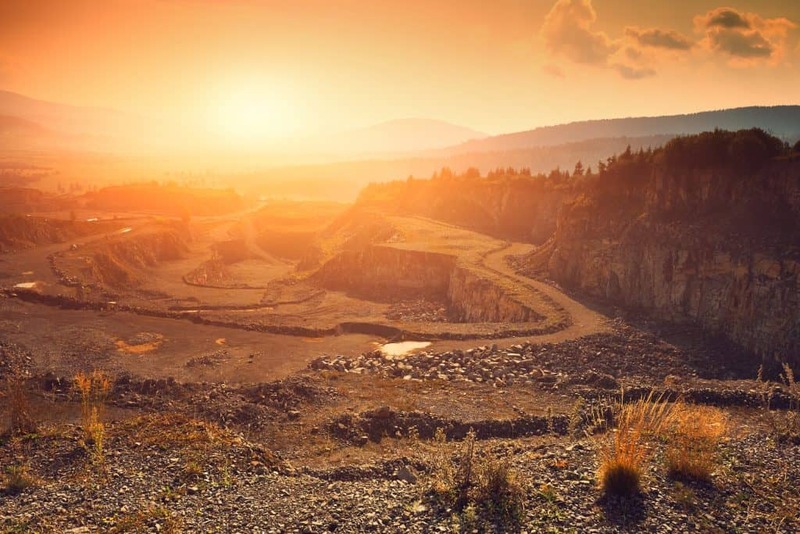 There are 4000+ acres of opportunity for whatever your needs may be. They even offer beautiful backdrops and venues for weddings. It is right up the road from Carlsbad Caverns and is truly a hidden gem in the state of New Mexico. Enjoy the beautiful lake, look for wildlife, take photos and enjoy the beautiful views of this place. Camp Washington Ranch would be a great place to see if you wanted to go to the Carlsbad Caverns the next day. You can even see the park entrance from one of the high points of Camp Washington Ranch. It is likely you will fall in love with this hidden gem in southeastern New Mexico. Not only is there camping available for RVs, but there are cabins also offered for an affordable price. Bonito Hollow RV Park & Campground is home to twelve privately owned land along the Rio Bonito. It is close in proximity (a few minutes drive) from the excitement and nightlife attractions of Ruidoso, New Mexico. It is also only three miles from Lake Bonito. Bonito Hollow RV Park & Campground is one of the best places to stay in New Mexico whether you are staying long term or just passing through. It is a great option if you want to explore more of New Mexico, but don’t want to travel far from camp. There is a fee of $35 a night staying here, but all the features make it worth it. There are 65 RV sites available at Bonito Hollow RV Park & Campground with full RV hookups. There are showers, clean restrooms, Wi-Fi, strong cell phone reception and the best part- pets are allowed! You can bring your furry friend along to enjoy explore all New Mexico has to offer. The RV hookups offered are located right along the Lincoln National Forest making for a peaceful, yet beautiful place to set up camp. There is also a dump station for RV stayer’s convenience. There is also a rather large collection of DVD’s for rent available, trout fishing along the Rio Bonito, a sand volleyball court, and plenty of fun hiking trails to make it even better. Santa Fe Skies RV Park is located just south of Santa Fe, situated on top of a hill. This RV park offers a wide angle view of the entire Santa Fe area. With 17 acres available, there are in total, 98 RV sites (55 pull-through and 43 back-in sites). The rates of Santa Fe Skies RV Park range from $46 per night to $276 per week, and $900 per month. 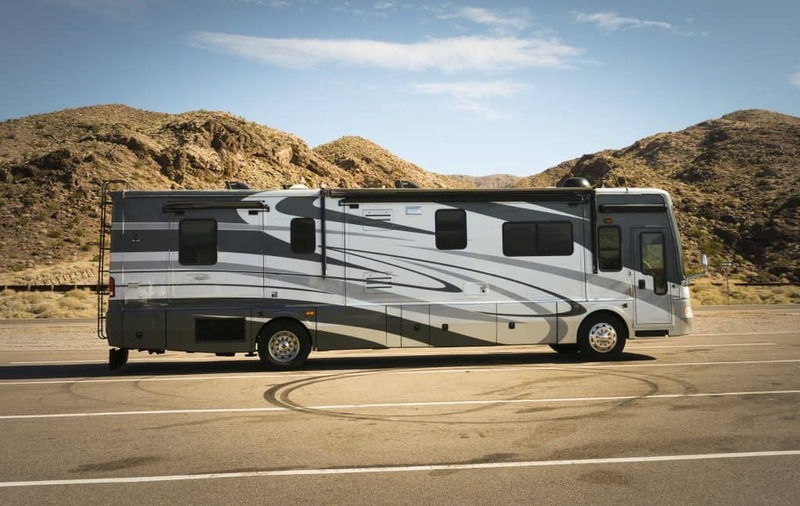 There are full RV hookups available which makes for easy camping. There are showers, clean restrooms, Wi-Fi offered, good cell phone reception and pets are allowed in Santa Fe Skies RV Park making it fun for the whole family. Due to the convenience of the location, you are in a perfect spot to visit all the places that Santa Fe has to offer. There are two shopping malls, local shops, historic sites, and restaurants in Santa Fe. There are also a few museums you should consider checking out while you’re in the area. The first museum is, El Rancho de Las Golondrinas, is a 17th century Spanish Colonial Living History Museum. There is also the museum called Turquoise Trail, which is home to historic villages of Cerrillos. American RV Park is a family friendly RV park located in Albuquerque, New Mexico. The location of American RV Park is great. It is located right off of 1-40 near old Route 66. This takes you through downtown Albuquerque that is home to many local shops, clothing stores, and restaurants. This park is a great option for your family’s travels as it is packed with great amenities that will make your stay unforgettable. There are 236 RV sites (back-in and pull-through sites) located in American RV Park with full hookups. There is a $35 fee per night to stay here, but there are so many fun features that will make your stay here so worth it. They offer showers, clean restrooms, strong cell phone reception, Wi-Fi, and a pool and hot tub. Most RV parks do not offer a pool or hot tub, so take advantage of this! There is a free breakfast offered every morning, and the camp is always stocked with anything you might need to make the stay as comfortable as it can be. There is something for everyone here-including kids. Kids can enjoy the swimming pool as well as the playground, while the adults can enjoy the hot tub and the horseshoe pits. There are even some added amenities for your pets. There is a dog-walking area and a dog park at American RV park for your furry, four-legged friends. High Desert RV Park is only a few minutes from Albuquerque, New Mexico and is known to be one of the most peaceful campgrounds in the state. You will be greeted with kindness and hospitality when you arrive, making it feel like home already! If you have a busy vacation planned and want to go to a quiet, peaceful RV park to relax this one is for you. The High Desert RV Park is located right off Interstate 40, so getting to the park is convenient. 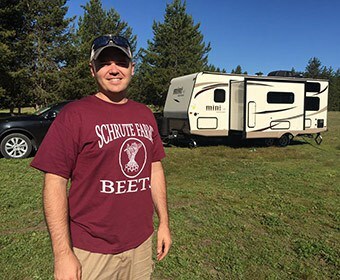 There are 75 RV sites (back-in and pull-through) that range in price from about $30 a day to $160 a week and $360 a month. 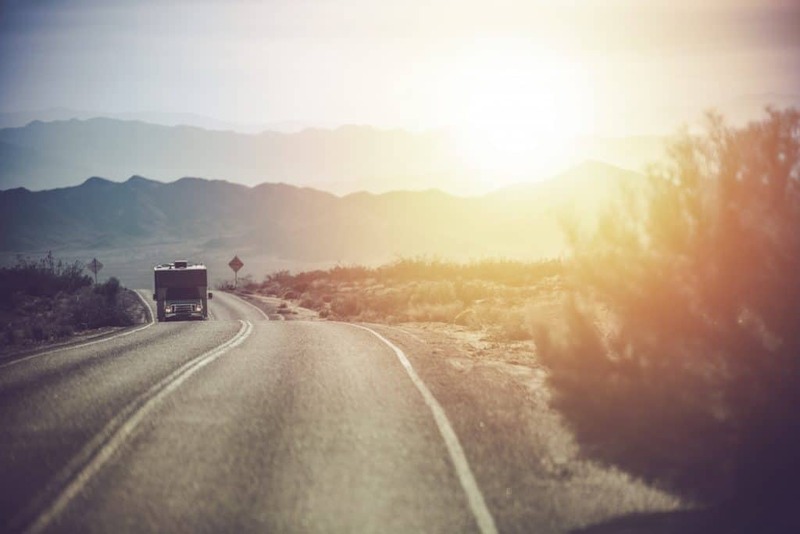 There are full RV hookups offered here as well as clean restrooms, showers, Wi-Fi- strong cell phone reception and pets are allowed to join you here. You will love all that High Desert RV Park has to offer, including picnic tables, spacious and clean laundry facilities, and an activity. You will enjoy relaxing in the activities room catching up on your favorite show or playing pool, while your four-legged furry friend will enjoy the large pet areas that are offered. There is also a camp store that offers propane which can be helpful, as well as a car care center. With the cleanliness, friendliness, and features offered at High Desert RV Park, you are guaranteed to have a good time. Located in Sierra County, New Mexico, Elephant Butte Lake RV Resort is the perfect location for you to explore the vast landscapes. It is less than an hour from Elephant Butte Lake State Park, which is the largest lake in New Mexico. Along with the natural views that are available here, the amenities will make your vacation truly unforgettable. There are a total of 145 RV sites with back-in and pull-through sites. There are full RV hookups, Wi-Fi, cell phone reception, showers, clean restrooms, and a hot tub and pool. There is quite a lot to do while you are staying at Elephant Butte Lake RV Resort. With an indoor swimming pool and hot tub, horseshoe pit, a game room, pickle-ball court, and a fitness room you are ensured to never be bored. You will have everything you need to stay comfortably. There are RV repairs offered on site in case of an emergency, a station for dog washes to ensure your dog gets nice and clean, as well as a dog run to help your furry friend get all the exercise he needs! This campground sits on a high desert overlooking the city of Albuquerque. It is surrounded by three dormant volcanoes, has the most beautiful sunsets, is perfect for stargazing, and the desert views you can experience will make your trip unforgettable. There are 135 RV sites that offer back-in and pull-through sites. There are full RV hookups available as well as showers, clean restrooms, cell phone reception, Wi-Fi, and a pool and hot tub. During your stay at Enchanted Trails RV Park & Trading Post, you can spend your days in nature, hiking, and enjoying the beautiful views of desert wildlife. There is a clubhouse offered if you need a break to relax, or you could stop by the trading post for some mouth-watering southwestern food, and Native American crafts. Lounging at the pool and getting your tan on is never a bad idea either. The possibilities that this park offers its guests are wide and all so enjoyable for not only your family but your pets are welcome, too! Located in Gallup, New Mexico, right on the historic Route 66, USA RV Park is found. This park will make your vacation very unforgettable because it is located next to nations and tribal parks and well as many historic sites. You are sure to have a comfortable stay when you are in USA RV Park. 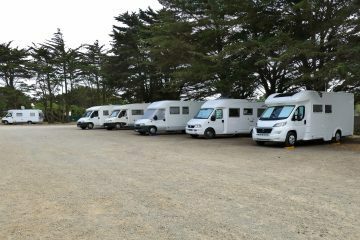 The RV sites are large and there are 134 sites in total with available back-in and pull-through sites. Full RV hookups are also offered for your convenience. There are hot showers located here as well as clean restrooms, strong cell phone reception, Wi-Fi, and even a pool. Pets are allowed to camp here with you as well! USA RV Park is beautifully landscaped, is monitored by security for your safety, there is a heated pool, and it is very clean! One of the best parts of USA RV Park is the price. Normal prices range from $35 per night to $198 per week and $550 per month, but they have many discounts to offer. Some of the discounts you can use for your stay at USA RV Park include: Good Sam Club, AAA, AARP, FMCA, Veterans, and Escapees. As well as the discounts they offer, they have frequent deals going on almost ensuring that you will be able to stay there for the best price. Boot Hill RV Resort is a quality park that is located in Alamogordo, New Mexico. It has a lot to offer those who stay here including a country atmosphere that tends to make almost anyone feel at home. This is a great place to stay when you want to take a break from modern life, but not lose any comforts you have in your everyday life. There are 50 RV sites at Boot Hill RV Resort that include both back-in and pull-through sites. 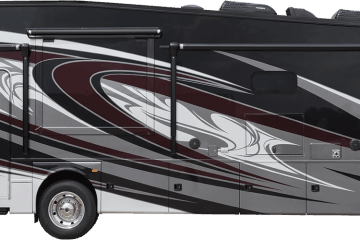 There are full RV hookups available as well as showers, restrooms, Wi-Fi, and good cell phone reception. Pets are even allowed to camp with you, which is a plus! Boot Hill RV Resort is extremely pet-friendly, offering dog run and dog walking areas in the park. 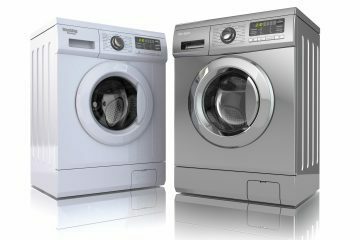 There are modern laundry facilities as well as an art gallery and a movie and book exchange for guests to enjoy. With so much to offer inside the park, and so much to do outside the park you are sure to have an unforgettable vacation. Located right in the middle of Silver City, this RV park gives its guests the opportunity to do so much. There are shopping opportunities, restaurants, and art galleries to explore. Even though it is in town, it gives campers a quiet and more secluded space to relax and enjoy time with family and friends. There are 45 RV sites at Silver City RV Park that include both back-in and pull-through sites. There are full RV hookups available as well as showers, restrooms, Wi-Fi, and good cell phone reception. Pets are even allowed to camp with you! First thing in the morning, you can wake up and head to the coffee shop located in the park for some hot coffee and mini donuts. Silver City is only 5 blocks away, so some exploring during the day is a must. There is a great community that has been built at this camp and it ensures all campers to have an enjoyable experience. Located in Roswell, New Mexico, Red Barn RV Park is known as a friendly park that offers great camping to visitors year round. It is only 2.5 miles from the center of town and offers great amenities within the park such as cable TV, a game room, and a book exchange! 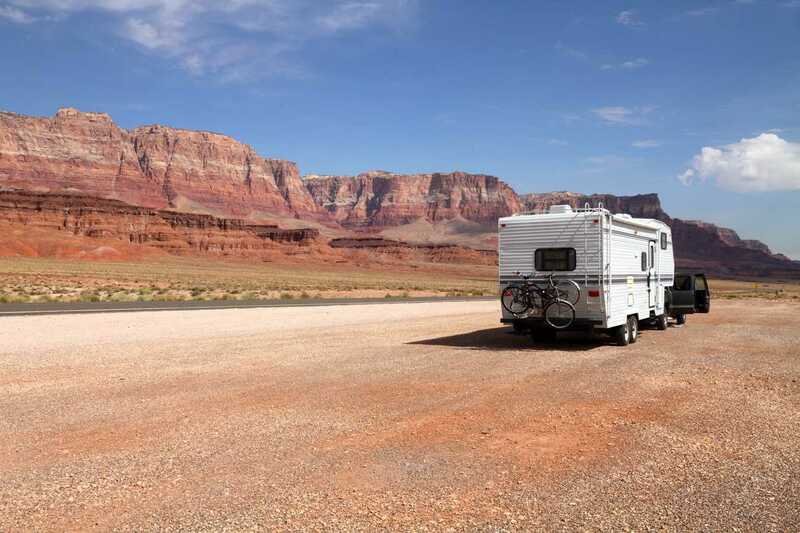 There are 15 RV sites at Red Barn RV Park that include both back-in and pull-through sites. There are full RV hookups available as well as showers, restrooms, Wi-Fi, and good cell phone reception, and pets are allowed. The city of Roswell is known for its famous “Alien Crash site” and has many themed restaurants, shops, and even a museum! There is also a zoo, golf courses, swimming pools and other museums located in the city of Roswell. With all that is offered in and outside of the park, your vacation is destined to be out of this world! 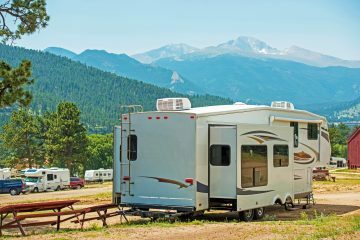 What are some year-round RV parks in New Mexico? Enchanted View RV Park, River Ranch RV Park, and Taos Valley RV Park all offer year round RV camping. The prices will tend to be lower in the off-season months and higher during the peak season of the year. Where are private campgrounds located in New Mexico? Bonito Hollow RV Park & Campground located in Alto, New Mexico and Fawn Lakes Campground located in Taos County, New Mexico are a few private campgrounds.